President-elect Obama has made a vow to close the US Detention Center at Guantanamo Bay. Tons of human-rights organizations and civil libertarians are cheering hard right now. It does however post some tough questions. Closing the prison is a “do-able” task. The problem is more about what to do with the prisoners? Some Obama advisors are trying to figure out the politics of what to do with the guys INSIDE the prison now. How do you handle the legal complexities of prosecuting, holding, releasing, or transferrring the current prisoners? Barack might have to ask Congress to pass legislation allowing a bunch of the detainees to be held indefinitely — without trial. The situation makes the US Judicial custom just as unethical as the offshore prison itself. I realize its a very delicate topic. I’ll admit, there are times that I’ve just assumed most Guantanamo prisoners had a shred of something guilty if they were called in. How ignorant of me. 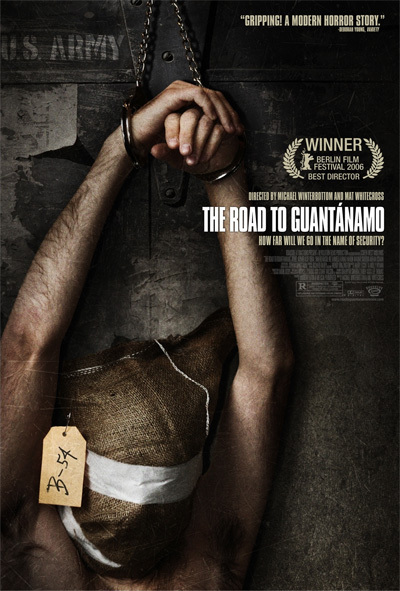 If you’ve never seen Michael Winterbottom film, Road to Guantanamo, rent it now. Based on the true story of the Tipton three, the story follows 3 British Muslims who were captured in Britain and sent to Cuba. They were held 2 years with no formal charges against them, and had no rights. After 2 years of inhumane treatment, the men were finally released and sent back to Britain but the trauma of their torture will remain in their spirit for a lifetime (See trailer here). All agree that a crucial first step is to review each detainee’s case thoroughly to see how many could be put on trial in U.S. courts, and how many could be released to their home countries. 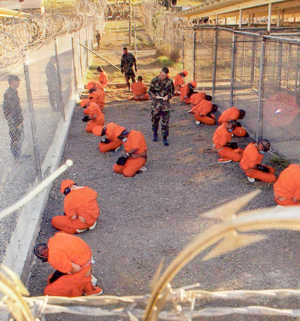 Bottom line is, Obama never has embraced an indefinite detention law. The rest will be logistics as we untangle ourselves from this conundrum. Donald Guter is a retired rear admiral who formerly served as the Navy’s top uniformed lawyer. He was also an adviser to the Obama campaign, and says there’s at least 20-30 prisoners that present “serious serious problems”. Some just have tainted evidence or allegations of mistreatment and might not ever be able to stand trial in a US Court. At the same time, some might be too dangerous to release. If Barack manages to pull this one off — it would be consistently more difficult for Castro’s government to paint the picture of the “evil Americans”. Just like the American people, the Cuban people’s hearts might warm up towards America. Perhaps Barack can begin the healing of both nations without even going to speak to Raul. Mr. Bush’s administration has only provided bad bait images for the Cuban Government to run crazy with. Fidel Castro has had a field day with all our past mistakes. Barack’s humanitarian actions will make it consistently harder for the Castro administration to continue their hate propaganda billboards. There’s a saying that says “a dictators best friend is a foreign enemy”. The language of treating Cuba as our “enemy” has vanished with Obama. If Obama indeed shuts down Guantanamo, it would be graceful if Cuba’s government extended an olive branch by making some internal democratic change… even 1 gesture towards it’s own people. Maybe we can start a healing tango here? This entire Guantanamo mess will not resolved by January 20th — just like the many other issues Mr. Obama will have to face including economy and pulling out of the war.